Moist and Delicious Chocolate Zucchini Bread – The perfect afternoon snack whenever you’re in need of a chocolate fix. This Double Chocolate Zucchini Bread makes the perfect afternoon snack whenever you’re in need of a chocolate fix. It has a deep chocolate flavor from unsweetened cocoa powder and bittersweet chocolate chips, yet it’s not so sweet that it tastes like dessert. It’s also loaded with zucchini, so there’s some virtue in it. Begin by grating your zucchini. I use a food processor but you can also do it by hand with a box grater. Next, melt the butter in a large mixing bowl. Next, whisk together the flour, cocoa powder, baking soda, baking powder and salt in a mixing bowl. Add it to the wet ingredients. And stir to combine — it will be very thick. Next, add the grated zucchini and chocolate chips. And stir until well combined. It will still be very thick — that’s okay. Transfer the mixture to a greased loaf pan, and spread the batter evenly with a spatula. Bake for about an hour, then let the loaf cool in the pan for about ten minutes. Turn the loaf out onto a rack to cool completely. It’s delicious right out of the oven but it’s best to wait at least an hour to slice it, otherwise it may crumble a little. Enjoy! Note: My starting point for this recipe was this recipe from King Arthur Flour. I replaced the vegetable oil with butter, swapped out the honey for more brown sugar, and reduced the salt. Preheat the oven to 350 F degrees and grease an 8-1/2 x 4-1/2-inch loaf pan with nonstick cooking spray. I made this recipe and really enjoyed it. I did not add the espresso or chocolate chips, but I did add roasted chopped pecans. This is the first time I’ve made a bread with zucchini. This is AMAZING!!!! I LOVE this bread for breakfast … or for an afternoon snack!!! I was dumbfounded initially that my husband wasn’t a fan of this bread. I was drooling over it straight out of the oven and when he tried a piece he was less than impressed! Anyway, one time sent it with him when it had been in the fridge and he said it was SO amazing! Him and his workers are always begging for this and they even know there is zuchinni but love it nonetheless (some people have stigmas to veggies you know….). Another guy tried it a different time and loved it so much even though he jokes he is allergic to veggies! To me it is way better than brownies any day! What is even more amazing is how it takes less added sugar than most banana breads which also have additional sugar from the banana (duh!)…. that, in my book, makes it totally justifiable!! One of the best!!! I can’t get enough of this moist chocolate bread. You can’t even taste the zucchini. My 8 year old loves to help out on this simple recipe. I use Penzeys Dutch cocoa. If you haven’t been introduced to the glove for use with a shredder box or mandolin, let me tell you it’s a must have. Thank you for this amazing recipe. Jenn, this bread was SO delicious, but I did have a problem. By mistake, I added two cups of chocolate chips (to my surprise, they melted) at the end. Baked for 65 minutes and thought the bread was done, but it was still a tad under baked in the middle and a litle browner on top then i would have liked despite covering it with foil for the last ten minutes. My oven temp is spot on. Could it have been he extra chocolate chips that caused this to happen? Tasted so good with them t I am tempted to switch to a 9 x 5 pan. Won’t be as high and look as pretty. What do you think? This bread is delicious. It is so easy to make and more importantly, so delicious. (I always dial back a bit on sugar/salt with all recipes as that’s our preference.) I’m not a huge zucchini fan but I think it’s perfect when used in baked goods. This bread is moist, with great chocolate flavor and I serve it for dessert with a dusting of powdered sugar. Oh and of course we enjoy any leftovers with coffee the next day! Jen’s recipes have never disappointed; I’m perfectly comfortable with trying a new recipe of hers when having company. Super dense, moist and delicious!! I just made this this morning because I had the ingredients and couldn’t sleep, so why not do something. It is absolutely delicious, the zucchini keeps it so moist. We are gonna heat it up for dessert with Hagen Das coffee ice cream on top, talk about spoiled. I’m thinking of trying this recipe doubled in a Bundy pan with nuts on the bottom which would then be the top and a bourbon glaze,kinda like that Bacardi rum cake, thanks for an awesome recipe, I knew I had to make it the moment I saw it! This has more chocolate flavor than any other chocolate zucchini recipe you will find! My husband had no idea there was zucchini in them. It’s so quick and easy I made them several times in a week. This will be my go to zucchini recipe from now on. Easy to make and so good! This was amazing!! An absolute favorite. Will definitely make this again. Excellent, the right amount of chocolate and not too sweet! It took much much longer to bake, I’m wondering if it was the glass loaf pan (vs. metal)? I also think adding the zucchini in with the wet ingredients first would have been very helpful. I added walnuts…..which were yummy! Hi Erin, glad you enjoyed this! The glass pan shouldn’t require you to add baking time to the bread. I’m wondering if your oven temperature may be a bit inaccurate. Here is an easy way to test it. Made this for a very wet picnic in the UK. Got rave reviews from the other cyclists, and have directed them all to your website. Thanks so much for a tasty recipe. I wondered if I could make this in a jar like I do traditional zucchini bread? I’ve never tried this method, Pat, so can’t say for sure if it’d work. So sorry I can’t be more helpful…if anyone else has tried it, please chime in! I didn’t, Henna – did you use a larger loaf pan by chance? Made muffins rather than a loaf, reduced baking time to 25-30 minutes at 375F, delicious. Thank you. Outstanding recipe! Everyone loves it. Wondering if I can bake it this weekend, wrap it well and keep it in the fridge to bring as a hostess give the following weekend? Thought this might be better than freezing since only a week but would love your thoughts. Awesome. Thanks for the scoop. Can’t wait to introduce this to some new friends! What was I suppose to do with the extra sugar? I’m guessing to sprinkle over top of Choc/Zucchini cake!! Sorry for the confusion, Dianne – all the sugar is added at once. It’s just a strange measurement. I love your recipes! Never tried one that was not a huge success with my family, and we are a “food” family! My Dad was also a chef and I just completed a family cookbook for my children and grandchildren. For the zucchini bread recipe, do you peel your zucchini before you grate it? Thanks so much. A fan! I made it and it was really good. Chocolatey without being too sweet. I’m not a huge fan of zucchini so when a friend dropped one off the size of a NFL player’s shoe I needed a really good recipe. This chocolate bread recipe hides the zucchini with such profound deliciousness it has to be outlawed in ever state except California. Thanks for sharing. Does the loaf freeze well? I usually try to make two loaves and freeze on for later. Thank you! Hi Annie, Yes it freezes very well. Enjoy! I just made this a few days ago and shared 1/2 with my mom. It’s delicious and super easy to make. I added a handful of chopped walnuts and a heaping tablespoon of ground flax seed to the mix. Very good. Will definitely make again. Wondering if a chopped chocolate bar would substitute effectively for chocolate chips. Thanks! Hi Lois, Chocolate chips retain their shape better than a chopped up chocolate bar because they have less cocoa butter than chocolate bars. That said, if you don’t have chips on hand, a chopped up bar should work. Hope you enjoy! A-mazing! Make this immediately! I made this with my toddler today and it is unreal. I grabbed a big zucchini from my garden and had the whole thing put together in about 20 minutes. I did half white flour and half whole wheat. The bread is not super sweet and is a nice background for the chocolate chips. We ate half of it already! I cut up the rest and popped it in the freezer. It should defrost well with melty chips. Thank you, Venus! No need to modify the ingredients. I’d start checking for doneness around 20-25 min. Thank you! Just shy of 25 min worked perfectly for the muffins. They turned out amazing. Also just received your cookbook. Excited, so is the husband! Just wondering if I can make cupcakes from this recipe? I’ve made the bread and it is delicious!!! But my son won’t eat it that way. Hi Michelle, sure cupcakes/muffins would work here. They will take less time in the oven – I’d start checking them at 20 – 25 minutes. Hope you enjoy! Excellent! If you following the directions exactly as stated you won’t be disappointed. I used a slightly larger loaf pan and just watched my baking time. Very thick batter but keep mixing to incorporate zucchini and I added 1/2 cup of chopped walnuts. Very chocolatey in taste so if you love chocolate you have to make this loaf. Any advice for making this into mini-loaves? Not sure what time and temperature would be. Hi D, Temp can remain the same; I’d start checking the loaves at 30 minutes. Stick a toothpick into the center of the loaf – if it comes out clean, it’s done. If it’s not done, check it with a toothpick every five minutes after that. When the toothpick comes out clean, you’re good to go. Hope you enjoy! This is a fantastic recipe! I’ve made it exactly as is and the results were just beautiful! I’ve even given them out as presents. I loaf itself is dense yet moist at the same time, full of chocolatey flavor. It isn’t too sweet, but boy is it a piece of indulgence! You don’t taste the zucchini at all either; it just lends a perfectly moist texture. I love to pair it with a cup of english or chai tea and my boyfriend loves it with his morning coffee. Make this! This is one of my favorites! Everyone that has tried it couldn’t believe that there is zucchini in it, and has loved it as well. It is moist and decadent! Thanks again Jenn! I love this recipe! I make it as-is : no substitutions required. The loaf is moist and not too sweet/rich, and you can’t even taste the zucchini. Also – thumbs up for not having to use a stand-mixer. I made this recipe for a work potluck and everyone went wild–it was gone within minutes. An excellent way to use up all that zucchini everyone has in abundance, and who can resist chocolate? This one definitely goes in my forever recipe collection! Thanks, Jen! Have made several times and increasing my baking confidence and desire to try more recipes on the site. So I’m struggling with this recipe… both times the batter was really dry almost dough like. Any tips? Hi Henna, sorry to hear you’re having a problem with this recipe! I’m wondering if you may be using too much flour. Are you using the spoon and level method when measuring the flour? Henna, did you by any chance squeeze the zucchini to get rid of excess liquid? That’s not required in this recipe and could make the batter dry. Do you think its possible to use coconut oil instead of butter for this recipe? Im currently breastfeeding and cannot have dairy. I do think it’d work, Janelle. Please lmk how it turns out if you try it :). Just made this and it is delicious! I was given a zucchini and this was my first ever recipe using it. I made it as described but added 1 tsp cinnamon and an extra sprinkle of cocoa. I found that it cooked faster than 60 minutes (~50 mins) so keep an eye on it so it doesn’t dry out!! It came out looking exactly like the photos! This is a great recipe and I will keep on making more. So moist, chocolately, and delicious. Thank you! Do you think I could use gluten free flour in this recipe? Thanks! Hi Cyndi, I do think that would work. Enjoy and please LMK how it turns out. This the first recipe I made after discovering Once Upon a Chef website! I’ve already bookmarked many recipes to try soon! This zucchini bread was awesome! I used whole wheat flour and added walnuts! Instead of a bread pan, I made them into muffins and they were just perfect for a quick snack. This is fantastic and super easy! As my father is a pre-diabetic, I was able to substitute part of the flour with almond flour and used mostly stevia. The second try was perfection! This has amazing flavour for all chocolate lovers. I finally made this. It was excellent in flavor and texture. It was very moist and the most difficult part of this recipe was trying not to eat too much of it at once. It is delicious anytime of the day. The loaf baked beautifully and looked beautiful too. This will be a repeater for sure. We just finished having a slice (warmed in the microwave so the chocolate chips got a little melty) of this bread, and oh my WORD it is good! So chocolatey and moist and delicious. I followed the recipe exactly, and it baked up perfectly. Another wonderful recipe, and it was perfect timing too since I had the last 3 zucchinis from our garden to grate up for the freezer. Thank you! I just made 4 loaves of you chocolate zucchini bread. It is a wonderful recipe! The last batch I used 4 mini foil pans to use as gifts for friends. I made it from one recipe just didn’t fill the pan to the top. I tried this recipe and it never seemed to fully cook. I had it in the oven for 1 hour 25 mins and it was still goo in the middle. The recipe makes sense. Maybe there was too much moisture in my zucchini. Hi Justeen, I’m so sorry to hear you had a problem with this! Is there any chance you could have measured something incorrectly? If not, you may have had a particularly moist zucchini. Although I haven’t found it necessary in this recipe, if you try this again, you could use a clean kitchen towel to squeeze the extra moisture out of the zucchini before adding it to the batter. Two things I have learned when cooking with zucchini. Don’t grate zucchini until it’s time to add it to the recipe. When filling measuring cup don’t pack zucchini, drop handfuls in cups till its filled and don’t be tempted to dump in any leftover zucchini. That extra may be just enough to prevent your item from fully cooking. Can I use yellow squash mixed with the zucchini? I’m short like a cup and a half of the zucchini and have an abundance of yellow squash. Sure, Tricia – that’ll be fine. Seriously A-MAZ-ing said the girl who’s not crazy about chocolate but ate half the loaf. The best zucchini bread ever! My boyfriend and I made this on Sunday and it is delicious! Thank you for sharing a great recipe! Do you think I could double this and put it in a bundt pan? I do think that would work, Carrie. Please lmk how it turns out! Just made this as muffins. A neighbor gave us some zucchini and I’ll confess, I have a serious aversion to green things… so I pureed after I grated ?. Absolutely delicious! This is by far the best chocolate zucchini bread recipe I ever served. Everyone who tried it wanted the recipe. Do you think I could substitute oil for the butter? My husband is extremely lactose intolerant. I do have chocolate chips that are milk-free. I know he would love this! Hi Meg, I haven’t made this bread with anything but butter, but I noticed in the comments that some other readers have used it coconut oil successfully. Another option is a dairy-free butter substitute. Hope you enjoy! HOLY MOLY…just made this, I did a double batch not knowing how it would be. So glad I did, it’s so chocolatey and good. I subbed Smart Balance for butter and it worked. Try this recipe. Will this be ok if I use salted butter? Also wondering if this recipe still does well if doubled, many don’t turn out quite the same. Hi Jean, Yes, you can use salted butter if that’s what you have on hand. 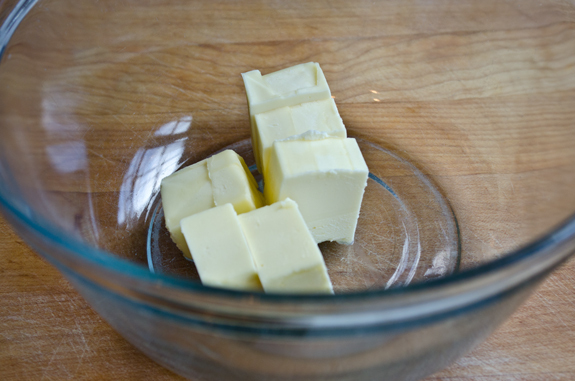 While it varies by brand, most salted butter has approximately 1/4 tsp. salt per stick, so you should reduce the salt in the recipe as needed. And this should double nicely. Hope you enjoy! I’ve been making this bread recipe for a few years now and just love it. Well last night I made it for the National night out crowd in my neighborhood and had some left over, so I took it to work today to get it finished off and there was a person there who once I said the word zucchini refused to try it. Well one of the nurses heard me talking about it and peaked her head in and wondered who brought it in. She said it was amazing and tasted like a really great brownie. So long story short, the guy who said, my mom can’t even get me to eat things with zucchini it, ate it and loved it! So hats off to this amazing recipe. Fantastic! I did squeeze out some water from the zucchini because I’ve had breads fail in the past because they were just too wet. I made 12 muffins and a mini loaf. Texture and taste are phenomenal! Do you think this bread would ship well? I want to overnight it to my aunt from LA area to SF. Is there a bread that would be better for mailing?? Thanks so much. Your site is amazing and I can’t wait for the book!! I suspect that if you’re sending it via overnight mail, it will arrive just fine. Hope your Aunt enjoys! Thought I’d share: Try UPS. I send our daughter (lives in Boston) GF breads/muffins. In my town in Yorktown Heights,, NY., as long as I get to UIPS facility by 5 PM (M to Thurs), my packages go regular rate but delivered by NEXT DAY. No overnight fees. Check it out where you live, should be the same. Packages always arrive safe, undamaged and overnight. My 15yr old is extremely picky and not a fan of vegetables but this bread he gobbled it down with a big glass of milk. Made this delicious moist Chcolate Zucchini Bread yesterday. I added 1/2 cup chopped walnuts and 1 teaspoon cinamon. This is the best Chocate Zucchini bread I’ve made so far. Thank you so much for the recipe. Made this but split it into 2 loaves (same size pans) and cooked for 40 minutes. So delicious!!! Especially warm from the oven! This Chocolate Zucchini Bread was the best I’ve ever made! It turned out just like the picture in the recipe and it was so moist and chocolatey I couldn’t believe it. In all honesty, it tastes like a scrumptious chocolate cake. We love it so much I have a second one baking in the oven right now! You cannot go wrong with this recipe! My boys were so angry that this contained Zucchini, until they tasted it. Loaf gone in 45 minutes (they are 14 and 15…) Chocolatey, moist and scrumptious-will be making it again very soon! Super chocolately and moist! This is a wonderful recipe for the chocolate lover in your family! I don’t get bittersweet chocolate chips where I live so was wondering if there was anything else I could substitute for the chips? Hi Niyati, you could also use semi-sweet or milk chocolate chips here. Hope you enjoy! The bread came out moist and delicious. Everyone who screwed up their nose at the thought of zucchini bread had to eat their words along with a slice of the cake. This is one I’ll be making again. Mine turned out quite dry and I followed the recipe as is. Baked at 60 minutes no more and most of my loaves take longer than stated recipe cook times so I know its not my oven. I’ve made this recipe many times and it’s never turned out dry for me. I’m wondering if it’s your flour? Storing it in airtight containers can sometimes affect recipes. I’ve had that experience before. I’m not a baker by any means, but curious – recipe says to microwave butter instead of beating it, why is that exactly? Hi Ivan, glad you like it! Not all baking recipes require creaming the butter and sugar. This one just works better with melted butter. My kids LOVE this recipe (though my youngest still won’t believe me that it has zucchini in it -lol)! This has become our go-to recipe in the Summer months when we have a ton of zucchini about. Thanks for the recipe – it’s a keeper! Made this at the height of zucchini season! Moist and tasty. And freezes well – to be enjoyed ling after the season is over! Jenn, I am so glad I made your recipe. Absolutely delicious. Followed the recipe to a tee. Will make it again for sure. This is so good. I use a food processor for the bananas to make them almost liquid. There is just a hint of their taste among the decadent chocolate. My guests loved it as much as me. I am confused why Sandra Smith said she used bananas in this recipe. Is this an error on the part of the review? Yes, Nancy, that does look like an error. My guess is that she intended to write a comment about one of the banana bread recipes on the blog and accidentally put it in the wrong recipe. Hi Jenn! I live in Germany so sometimes I switch between metric and cup measurements for certain ingredients. I just wanted to let you know that I found an error in the metric measurements in this recipe. You have 208g flour for 1 and 2/3 cups, which is too little! At least I assume it’s the metric that is wrong, as this is the first time I am trying this recipe. Your website has become my go-to website, and I cook or bake something from it at least 3x a week. It’s given me the motivation to try lots of new things. Thank you! Hi Meghan, Thanks for the kind words – so glad you’re enjoying the site! I measure flour at 125 g per cup using the spoon and level method, so I believe it is accurate. I’m not a cook or baker, but decided to do a side by side tasting to compare this and my friend’s recipe; they were similar but not exactly the same. I may be a bit bias, but this was soooooo good!! Easy to make, even for a non-baker, super moist, and decadently delicious. This cake holds well in the freezer too, I was able to ship it from CA to AZ and it arrived in top shape! Hi Jenn. Your recipes for breads (banana bread, chai spiced banana bread, and chocolate banana bread) are a huge hit with my husband and kids so I’m excited to try this recipe. Can I make this in a 9″x 5″ loaf pan? I don’t have an 8.5″ x 4.5″. Sure Gayle, that’ll work. It may be done just a few minutes sooner, so I’d start checking it at about 50 – 55 minutes. Enjoy! Wow – what a huge hit this was at our house. Absolutely decadent and so chocolately. I have frozen shredded zucchini in 2 cup increments so that I can make this wonderful recipe all winter long. Thanks so much Jenn for another perfect recipe. I am allergic to all squashes and melons. Is there an alternative to zucchini in baking recipes? I made this for my family and they loved it, however, I couldn’t even try it. Hi Jackie, Glad you like the blog! You may be able to replace it with carrots, but not sure how that combination would taste! You may want to take a peek at some of my other breads here. Another perfect recipe. Added less sugar (130g), less salt (1/2 tsp) and more zucchini (350g). Was so yummy. Took to the park with kids and their friends- absolutely smashed it. 3rd recipe I have tried that not only worked but tasted awesome. Oh my. My family and I ate entirely too much of this bread today. My kids kept asking me if there was really zucchini in it. The recipe doubled well. I made two mini loaves which took about 45 minutes and a large loaf which was slightly over an hour. So utterly delicious. A definite repeat. Excellent!! Another huge hit with the family. You are now my ‘go to’ site for guaranteed delicious recipes and easy to follow recipes. “Fabulous” barely covers it! I amended the recipe, but kept it as close to the original as possible. Subbed half the butter with apple sauce, used half brown sugar/half Splenda with a dash of molasses to make up for the plain Splenda, and used half whole wheat flour. Squeezed the zucchini in tea towels well to lessen excess liquid, and used Hershey’s special dark cocoa. One hour in the oven was perfect timing. For those who have had trouble with the bread collapsing, make sure to use fresh baking soda and baking powder. Amazing chocolate flavor, perfect moistness and zucchini undetectable! Excellent recipe even with amendments. I love your recipes! I wanted to try this one to use up some zucchini I have and didn’t want to make an extra trip to the store. I also wanted to make it a bit healthier. Do you think it would be okay if I skipped the chocolate chips and used ghee instead of butter? Thanks in advance! Hi Ida, Yes and yes! Top notch and super simple to make! Thank you! Hi Betsy, Yes, that should work. Enjoy! Super crumbly. Did I mess up? Hi Holly, did you wait at least an hour before trying to slice it? Also, is it possible you may a measuring mistake? I made this recipe as muffins. They weren’t super crumbly at all. My mild complaint is that they were too dense. Tasted just fine but I wouldn’t use the recipe again for muffins. Consistency just didn’t seem right for muffins. Much more cake-like. Just been reading the rave reviews for this double chocolate zucchini bread. I wonder if you could convert the recipe to grams when you have time. Thanks so much. Done! To view them, scroll down to the recipe and immediately under the recipe title on the right side, you’ll see a little toggle. If you move it from “cup measures” to metric, you’ll see measurements that will work for you. Can gluten free flour be used in this recipe? I have a few friends that are gluten free and I’d love to be able to make this for them. I’ve made your recipe several times over the few years and it’s always a hit. Hi Bridgett, I don’t have a lot experience with gluten-free baking, but I think you could prepare this with a gluten-free baking mix like King Arthur’s or Pamela’s. Enjoy! I made 2 loaves today using 1 1/3 cup white whole wheat flour and 2 cups all purpose flour. My loaves came out moist and with great flavor. I baked my loaves 60 minutes. Excellent recipe! This is an amazing recipe! Love that I can mix it by hand and use the extra zukes that seem to jump into my market basket at our local farmer’s market. I made this to take to our son who is working at a camp in the Poconos (Camp JRF) after teaching in China. I added a shake of cinnamon and a some extra chips to the top. Will bring two loaves because I know he will want to share with other staff! Thanks so much for recipes I have come to depend on . Cannot wait for the cookbook, Jenn! Made a double batch of this bread yesterday. Its delicious, not too sweet and just the right amount of chocolate. I added walnuts to mine. Also, I didn’t have enough light brown sugar so I substituted about half of it with dark brown sugar, also, I sifted my dry ingredients since I always have issues with clumps in my cocoa. Sent a loaf to work today with my hubby. Will definitely put this one in my keeper file. Thanks! Hi Jennifer, can I substitute coconut oil for the butter? I tried but have not been able to get a smooth consistency when I mix in the brown sugar, even if the coconut oil is heated. If I can’t use coconut oil, is there any other substitute for dairy that I can use? Margarine? Hi Sridevi, I haven’t tried this bread with coconut oil, but I noticed in the comments that few other readers have used it successfully. If you’re struggling with the coconut oil, another reader used earth balance coconut spread, so you could try that. I tried it with canola oil and with virgin coconut oil. Online research said to use 1/4 less than the butter quantity in the recipe, so I used 3/8 c of the oil. Both versions came out great, but I preferred the coconut oil because it added another subtle flavor. Everyone loves being my guinea pig on this recipe! Mine was hard as rock on top but still liquid in the middle after an hour and half of baking? Where did I go wrong? Was I supposed to squeeze the liquid out of the zuccini first? Oh no! I’m sorry it didn’t turn out well, Hilary. I’m happy to help troubleshoot. First, did you by chance make any substitutions? I didn’t! Compared to your pictures my batter did look quite a bit thicker prior to the addition of the zucchini. Not sure if that would affect it. It’s a really thick batter, so I don’t think that’s it, as long as you measured everything properly. What about your baking powder and baking soda — could they be expired? Could have been a pan substitution or oven issue? Did you use a pan with a smaller surface area and thus the batter was deeper? Or did you use glass – high heat transfer – instead of metal? Regardless, you could try lowering the temperature of your oven by 25 deg. I used a bigger (surface area) dish made of glass, but the two changes cancelled each other out. Turned out well at the same temp and time. Is your Double Chocolate Zucchini Bread consider healthy?? While I definitely wouldn’t classify it as a health food, the zucchini helps to boost the nutritional value of the bread a bit. I think it could be considered a healthy indulgence :). We love, love this recipe. We make zucchini bread multiple times every year and this is our favorited recipe by far. YUM! It’s better than the one I used to make. Stiff batter + wet zucchini = perfect loaf (instead of that “interesting” 9×13 cake I used to bake up- always wondering if there would be that soggy swamp in the middle). This is perfect with that first cup of coffee at 4 a.m. when the dog has to go out. Next time I’ll add a little cinnamon and maybe a few nuts if I remember, but it’s just great as it is! Thanks! Absolutely the best zucchini bread I ever made or tasted. Rich, moist and chocolatly. Just wanted to say I followed the recipe exactly and this loaf turned out wonderfully! It was moist, dense and had a great flavor! Thanks for the recipe! Everyone loved this one too! This bread was so delicious! I served it at my son’s wedding reception. Thank you! Just made this exactly according to the recipe and it’s delicious! Would it be ok to wrap in parchment paper? I’m an aluminum foil a phobic ? Yes that’s fine, Susie. Enjoy! PS I used whole wheat flour the second time…and it was still amazing! In my opinion this is the only way to eat zucchini! This recipe yields a moist chocolate loaf which is a nice change from banana. I have made this recipe twice and actually substituted raisins for the chocolate chips the second time just out of curiosity. The raisin version was a hit too. Great recipe! Thanks! Doubled the recipe, but cut the sugar to just over 1 cup. Didn’t miss it! Made 2 loaves. They are so good. Will they last till Friday when my grandson arrives! This bread is incredible. I have so much zucchini and I make this bread and give it away to all my friends and family. I even have 2 loafs in the freezer right now. Hopefully I can keep them away from my family for a few weeks. I made your recipe first and then made my older standby chocolate zucchini bread recipe, it uses white sugar, melted semi sweet chocolate instead of chocolate powder and oil instead of butter is just a bigger recipe and yields two loaves instead of one. This will be my new go to recipe. I may experiment with adding the melted chocolate to it as well making it triple chocolate. I was recently gifted a very large zucchini. Having never made zucchini bread before, I started with this recipe, as I have used several of your other bread recipes, including all of the banana bread ones, before with great success. The double chocolate zucchini bread was fantastic. Not too sweet, but just enough chocolate that my three year old son gobbled it up. As I had a great deal of extra zucchini, I made a double batch, and used half for the bread and the other half for one dozen muffins, as I find muffins are ideal for freezing for later use. As with every recipe from this site that I have used, I love this recipe! Just made this recipe into muffins and it was fantastic!!! I doubled it and substituted the butter for 1/2c of coconut oil and 2 bananas, and used agave syrup in place of the sugar (lowered the amount by about 1/4c for the double recipe). It turned out so moist and chocolatey…absolutely fantastic!! As some others said…not over baking is the key! YUM! I’ve made this recipe multiple times in the last two years and it’s always a hit. A few weeks ago I made it and it was too dry. I wondered what I did wrong, well I cooked it too long. I made the mistake of thinking that because my tester came out with chocolate on it that it needed more time, I had forgotten to take into account the melted chocolate chips. So now it’s an hour in my oven and that’s it. It’s amazing! It doubles well too! Again thanks for this awesome way to use up my zucchini’s!? Excellent! My family gives this a thumbs up! I made this yesterday and it turned out excellent, so moist and chocolatey. I was able to use my danish dough whisk to stir everything together and it worked like a charm. Do you know if i can bake this in my smaller loaf pans? And how long would I bake it for? Thank you for this excellent recipe. Hi Penny, So glad you enjoyed! You can definitely bake in smaller loaf pans. The cook time will depend on the size of the loaves but I’m guessing 35-40 min. It is zucchini season up here in the Pacific Northwest. It seems like everyday, some zucchini shows up at the office. I had seen this recipe online and thought this would be a good way to use some of these squash. It is a good recipe. It is easy, uses common pantry ingredients. I have followed the recipe exactly twice but with one small twist on the loaf I just made. I sprinkled the top with sugar. Not a lot but enough to see that sugar was added before I put it in the oven. I am just about to take it out and cannot wait to share with friends. I made the recipe into 12 muffins last night and it was superb! I checked at 20 mins and the were still wet but 25 was perfect. Thank you for your amazing website. I have never reviewed before but have made numerous recipes that have all been amazing. Thanks for leaving a review, Gemma! Glad the muffins turned out well. can i make these into muffins if so changes in temp or time? I don’t understand why some reviewers said the theirs came out dry. This was so moist and delicious. I am diabetic so I avoid sugar like the plague but I bake for my friends, plus I had so many zucchinis from my garden. My friends and their children thought it was the best they’ve had in a long time. Delicious! Easy to make and turned out perfectly. Everyone loved it. This is fantastic!! Not too sweet and just enough chocolate! Thank you – I love your recipes! I found this bread to be dry and bland. Other recipes call for honey or buttermilk and cinnamon and much less brown sugar and I have had much tastier results. Follow-up to my question: I decided to go ahead and make the recipe with yellow summer squash and my husband and my neighbor tell me it is awesome. I have not made the recipe because I am not sure if it will work with yellow summer squash. My neighbor gives me a lot of it. Have you tried it with the yellow squash and does it work? Thank you. Hi Arlene, Yes, it should work. the zucchini bread did not have any flavor i would never make this recipe again! Perfect! I am very picky with the recipes I’m trying. When I saw the tested and perfected I gave it a try…My 2 year old daughter has a particular taste for food and according to her taste this is the best! Thank you. For people searching for the perfect recipe for zucchini, I promise this is perfect! Has anyone tried this recipe as muffins/cupcakes? Any suggestions if you have? Made this today and had some for supper. Was pleased how it looked but I found it a little dry. The other reviews mentioned how moist there’s were so what do you think happened. Hi Deborah, So sorry you found it a little dry. Did you use the spoon and level method to measure the flour? Did you make any substitutions? My only problem was even though I own 12 loaf pans of various sizes not one fit the dimensions you gave. What is the closest you have? Nice flavour. I had to add about half a cup of milk in increments to get the flour to incorporate. Other loaves I’ve made recently have milk already in the recipe, perhaps this one should have it too? LOVE. IT. I made your recipe one evening, pulled it out the oven to cool and went to bed. The next morning, half of the loaf was gone! My husband says it is hands down the best dessert he’s ever had. Thank you for this wonderful recipe! I have made the zucchini bread many times. I reduced the sugar by about 1/4 cup. After making it the first time, I processed most of the zucchinis from my garden in baggies containing 2 cups of shredded zucchinis just for this recipe. This recipe has become a family favorite and I have shared it with many people. No one can believe it’s actually zucchini bread. It has such good cocoa flavor, texture and moistness. Made this today and it tastes so good! Although I did replace the butter with some earth balance coconut spread and can’t wait to make it again! Took this loaf to a gathering and it was gone in seconds. A really good way to use zucchini. I always reduce sugar in whatever recipe I do, and it was still good. I also substituted quinoa flour for wheat. My loaf looked just like the picture so it is a good representation of what your final product will look like. I am new to your site and have discovered many recipes that I would like to try, especially this one!! My only concern abou this recipe is trying to make it in a way that is gluten free. I recently discovered that I have a gluten sensitivity (not celiac disease) and I am intimidated about converting receipes that call for flour with gluten-free flours. Is it possible to make this recipe by substituting the all-purpose flour with a gluten free one (I specifically have one made by Glutino)? Are there additional binding ingredients that I would have to add the receipe? Do you know if there is a standard rule or ratios in baking when substituting flours? I really appreciate you indulging this gluten-free novice. Hi Cherie, I don’t have a lot of experience with gluten free baking but I believe you can just substitute the flour with a gluten-free one without any other changes. I have a dear friend whose husband has celiac and she swears by Pamela’s Baking Mix as a flour substitute. Hope that helps! To Cherie: I know this is coming 3 yrs after your review comment/question, but I too have non-celiac gluten sensitivity, and have become pretty proficient with baking GF. I strongly recommend you google Gluten Free and More (glutenfreeandmore.com) and subscribe to the magazine. It is a treasure trove of everything important to anyone needing to follow GF diets. Many recipes, articles, product reviews, substitutions, etc. Even recipes for making your own flour blends. GREAT sandwich bread recipe (google Champion Sandwich Bread). Incredible meal recipes (like Cuban Stew! ), salads, etc. Hope this suggestion helps. Thank you for this delicious recipe. I’m enjoying a warm piece of Double Chocolate Zucchini Bread with a cup of tea as I write this review. Beautiful !!!! This bread looked questionable going into the oven but looked great coming out. It was a huge hit. Dense and moist. Everyone loved it and now the whole neighborhood is making it. Hi Vanessa, The nutritional data has been added; you can find it underneath the recipe. Hope that helps! Made this recipe in Ecuador. Living at nearly 10,000 ft, finding recipes that hold up and don’t over-bake or under-bake can be a challenge – but makes for some FUN baking adventures. Oh Altitude! I typically change some ingredients in recipes to find what will hold up best here – so I tweaked this recipe (just a little) and it turned out delicious! I added some of these wet ingredients to help compensate for the extra flour needed for high-altitude. Also, cooking times can vary greatly from sea-level to higher altitudes, so I checked this recipe at 30 minutes to be safe…and continued cooking for an additional 15 minutes. Thanks for sharing this recipe. It is indeed rich and delightful! I have shared this zucchini bread and recipe with many. Our 3 1/2 year old grandson loves this ” chocolate cake”. This recipe is wonderful! Baked it for the first time and it’s so easy. Had a small/medium sized zucchini from a friend’s garden and when shredded with a regular box grater, came out to 2 cups. The bread was moist and decadent! I even substituted the 1/2 cup oil with 1/2 cup of applesauce and still the loaf came out great. Thanks for sharing! So happy to have found your site. Tried my 1st recipe today (the chocolate zucchini bread) which was absolutely delicious. Will be making again for sure. One little item I added was a sprinkle of chia seeds on top of the bread. It is a keeper! NOTE: COOK TIME 20 mins. in reading the reviews i think this may have cause some to under cook. I just made this and it is wonderful! Robbin, Thank you for solving the mystery! I love this recipe so much and have not been able to figure out what the issue was with some of the reviews. I have tested it over and over again with no issues at all. I think that typo might explain it; it has been corrected now. Thank you again! This chocolate zucchini bread is outstanding. It sounded great and tastes even better. For the chocolate lover, it is a wonderful dessert. Everyone is requesting the recipe. Definitely a keeper. Delicious, moist, and the perfect size! Such a tasty zucchini bread! I tried this last night and it was so moist, and decadent…my family loved it. The zucchini was not noticeable at all (I used a smaller grater). I made sure I did not packed the zucchini, too much (I think that it may cause the center of the bread not to rise properly or to be wet–it happened to me once when I put too much carrot on my carrot cake). My bread baked exactly as on the picture. ..love it and will make it again!!! Wow! This is the first chocolate zucchini bread I’ve tried and I am now hooked! I loved how dense it was, but not dry. It smelled divine while baking and tasted even better. My husband kept asking if it had cooled enough so he could try it. Definitely a keeper! Next time I might try smaller pans so I can share with friends and neighbors. I just tried the Double Chocolate Zucchini and this recipe is so easy to make and so good. I love Zucchini Bread but is so much better. I was so excited I took some to my neighbor and she called me wanting the recipe. Thanks for my new Chocolate Fix. It looked exactly like the picture and I cut it after resting 10 min. I couldn’t wait. I wish you had more stars to rate. I skipped the coffee, and I rate this a 5. I made it last night with fresh zucchini from my garden. I pureed the zucchini and used half semi sweet and half milk chocolate chips as thats what i had on hand. It is moist amd the gooey chocolate chips are yummy. Great recipe, glad I found it. I reserved a couple of canning jars full of pureed zucchini….good thing because I will definitely make this again. Thanks! If using pureed zucchini, how much did you use in the recipe? Do you need to alter other ingredients? I made this recipe today and it was easy to put together. Loafs look awesome. I have one out of its pan, however the bottom did not want to release. So I did lose part of the bottom. I did not have non-stick spray so I used my olive oil spray and it worked well for the sides, but not the bottom. I’m cooling the other pan a bit longer to see if it will come out better. The batter tasted delicious so I can only imagine the loaf tasting wonderful as well. Thank you for the recipe. I don’t know how to edit my first post so I’m replying to my own post. Lol! The bread is AWESOME! Every one loved it! We had it for lunch and I served it as a dessert with a little side of cool whip mixed the sliced strawberries. So yummy! Again thank you for the recipe. This will be a great way to use up the Zucchini’s I’m growing in our garden. We had company for brunch over the weekend and I made this bread along with your sausage casserole. Both received rave reviews! This looks great! I’m going to try it with coconut oil instead of butter because I’m finding it works great in sweet baked goods. 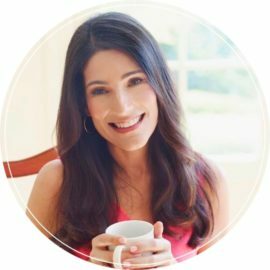 This reply is to Rebecca – I was curious as to why you want to try with coconut oil and how it turns out. I have coconut oil but have not used it yet. I tasted a teeny bit of it thinking it would taste like coconuts, but, to me, it didn’t. Would it make the zucchini bread moister than the butter? Thanks! LOVE this! Our three year old grandson thinks it is chocolate cake. He shoves it in his mouth. Have shared this recipe with family and friends! This bread was easy to throw together on a Sunday morning and did not disappoint! My family of 6 gobbled it up as soon as it came out of the oven. Loved this bread and so did my family. It tastes like chocolate cake only not as sweet. The best part is that my picky kids had no idea there was zucchini in it 🙂 thanks Jenn! Made this with my kids this morning and it was delicious! We didn’t have any Dutch process cocoa so we substituted Hershey’s natural cocoa powder. We also had only one zucchini so we had to use some grated yellow squash. Was nervous about the substitutions but it came out great. Thank you! Did exactly everything the recipe called for and somehow mine came out dense and very wet. Was I supposed to have drained the grated zucchini before adding? Can’t understand why it was such a disaster!! When I put the toothpick into it to test it, it came out clean. After it cooled, it was glue!! Go figure! Hi Pat, So sorry you had trouble with the recipe. The zucchini does not need to be drained for this recipe. Are you sure you added both the baking soda and the baking powder? Yes, added everything exactly as you indicated, but I think I may have grated the zucchini too finely and it caused it to be too wet. Definitely going to try again. And this time I won’t hand grate it, I will use the food processor. Somehow, I thought finely grated was better, but it was wet. My batter looked exactly like your photos, except the last one, my zucchini was not like that, which now makes me realize what went wrong…my friends still liked the taste of it, despite it being kind of dense and gluey! 🙂 Will report back when I try again…hopefully next week sometime. Thanks for your quick reply! And what I think will be a great recipe once I get figure out it! Need to know calories and carbs. Is the flour supposed to be 1 cup plus 2/3 cup or 1-2 thirds of a cup? I tried it as 1 & 2/3 cup last night and couldnt even mix it, it was beyond dry and didnt look like the picture at all. Hoping to try it again tonight but just wanted some clarification. Thanks! Hi Sylvia, It is supposed to be 1 cup plus 2/3 so you definitely measured correctly. It’s a very thick batter because of the water content in the zucchini. As long as you don’t make any substitutions, it should come out just fine. Please let me know how the next one turns out. Thanks! This was soon good! I will add some walnuts next time. I want to make this but I’m not sure when to add the instant coffee. Do I need to dissolve the granules first or just add to dry ingredients as is? Hi Dalila, Just add it as is…it will dissolve on its own in the batter. I used a flat grater to prep the zucchini since I am way too lazy to bust out the food processor – turned out great and less clean up afterwards! made this with the abundance of zucchini from my Garden this summer. Delicious!! These are fabulous! My kids love them too. I make them into muffins and use raw cacao and gluten free flour and they have been delicious. They freeze beautifully as well. Thanks for a great recipe! I made the bread yesterday but used natural cacao powder. It was absolutely delicious. Today I will try your Banana Chocolate Bread. Is the cocoa powder a common item or is it something that I would need to search for? Hi Tracy, Dutch process cocoa powder is pretty common…most large supermarkets should carry it and definitely Whole Foods. I also added cinnamon, crushed hot chilies, and walnuts to mine. It’s still baking and it smells great — I can’t wait! Hi Ann, Yes, it will work…just cut the salt in the recipe in half. Great recipe. I made this bread on Sunday night and topped it with a few dollops of fresh whipped cream. My family loved it. Made this recipe as posted this morning, to pack for an outdoor picnic/concert this evening. Just did a taste test, very good. I did not have instant coffee, but I’m sure that would be a good addition. I’ll get some for next time. I made this with my kids and it is fantastic. My 5 year old added the vanilla, and it ended up probably being 4x’s as called for. I used one of those tiny instant decaf packs for the coffee, earth balance buttery sticks instead of butter, CocoaWell 70% cacao instead of cocoa, and LOTS of cinnamon. It came out awesome. Thanks!! Thanks to be the first to review, RJ…so glad you enjoyed it! Can I substitute yellow squash (have on had) for green zucchini? Hi Carolyn, Yes absolutely…it shouldn’t make much of a difference at all. Hope you enjoy it! It’s in the oven right now! I love zucchini and chocolate together. My batter looked a bit sticky and didn’t mix together very well, so I’m hoping for a little oven magic. Hi Alicia – yes, the batter is VERY thick. There’s a lot of water in the zucchini so it all works out in the end. I really like your recipes and thank you for sharing. Can you forward your chocolate banana bread recipe to me ? Thanks! Any advice on making this recipe into muffins? Hi Laura, Everything would be pretty much the same; just start checking at about 20 minutes for doneness. It could take longer — depends how large you make the muffins. Hope that helps! I love chocolate and zucchini bread, this combination sounds yummy! Will have to try this today. Thanks for all the great recipes. Can you tell me what the Nutritional Information is on this Double Chocolate Zucchini Bread is please. I would love to try it but I am on a very low, low-carb diet. Hi Debby, I’m so sorry, I do not provide nutritional info for my recipes. It is something I’m working on. In the meantime, you can go to http://www.myfitnesspal.com/recipe/calculator and plug in the ingredients. Can’t wait to try this, it looks delicious. I always make your chocolate banana bread and everyone loves it, especially me!